The Bronze Headboard IX features a soft, deep-weave from Loro Piana ‘Sherpas’ cashmere range. This highly crafted headboard contrasts with the signature bronze inlay detailing. The grey sycamore frame is strong and classical in design, made from the finest quality materials. Its understated glamour gives a nod to the stylish Art Deco era. 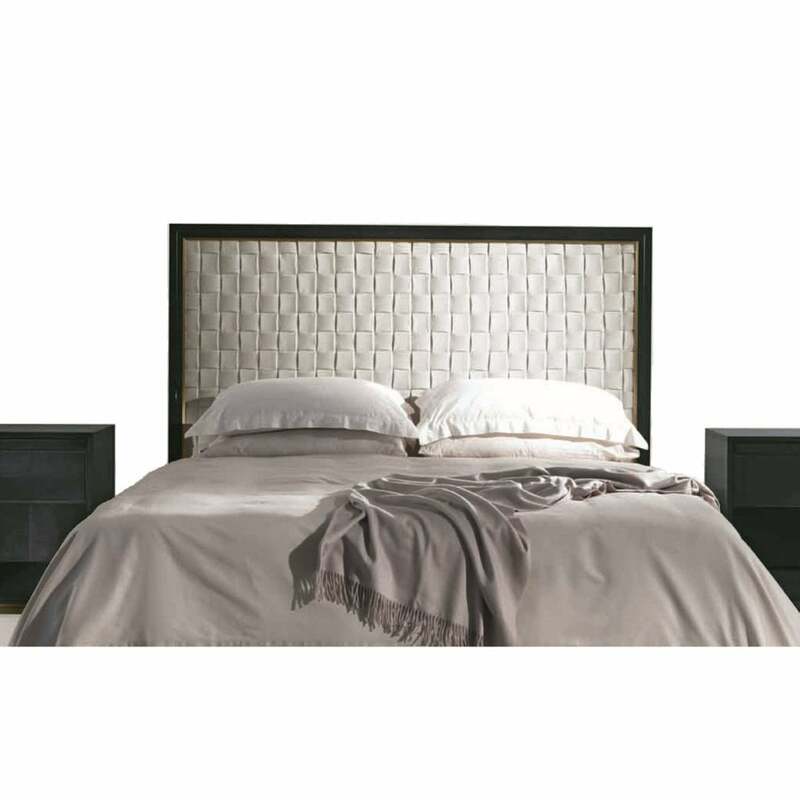 This beautiful headboard is part of the fuller range of the Bronze Collection of Furniture by Orsi. Priced in the brands own luxurious fabric, it is also available in any fabric of your choosing. Price of mattress and sprung bedstead excluded. Priced for Natural Black American Walnut in high gloss finish + bronze wth upholstered in woven cashmere from Loro Piana ‘Sherpas’ range, colour Shaded Cloud. Mattress dimensions cm. 180*200. Price of mattress and sprung bedstead excluded.